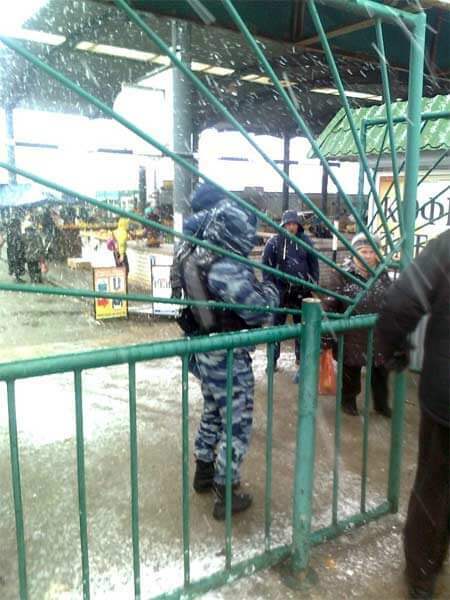 At least five people were arrested on Thursday in the market “Pryvos” in Simferopol in the occupied Crimea. A man is trying to clear up the reasons of his detention in the case when he just has been going to the market for groceries. A policeman is willingly explaining him that he has doubts about the authenticity of his document. 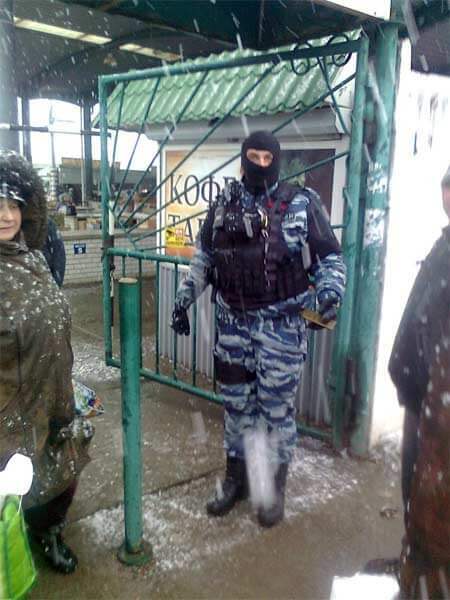 Although he has not committed any action to clarify the authenticity – he has scarcely seen the Ukrainian passport, immediately has taken it away. 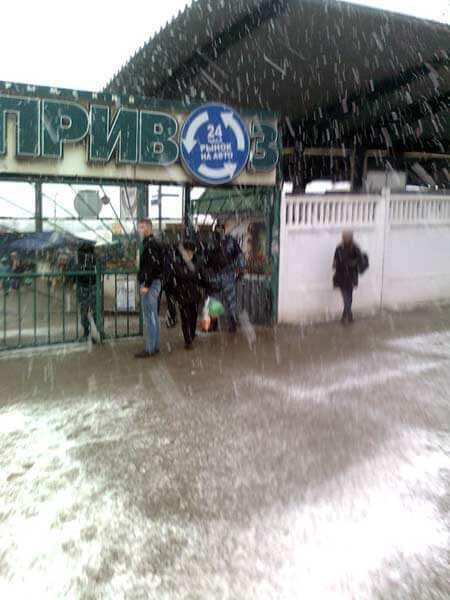 At least five people with the Ukrainian passports were arrested today during the police raid in the market “Pryvos” in Simferopol. Witnesses saw them being taken, and then there has been no information. People are frightened and do not want to tell anything more about this event.